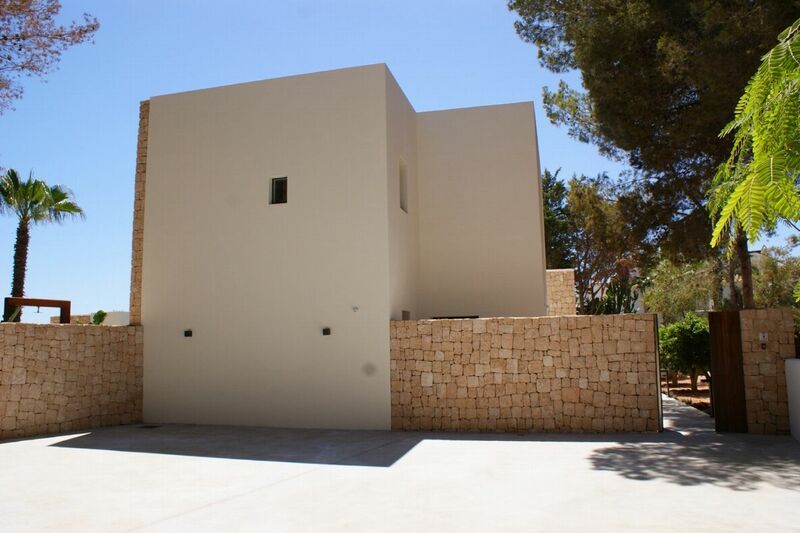 Each villa - 4 hours every 2 days. 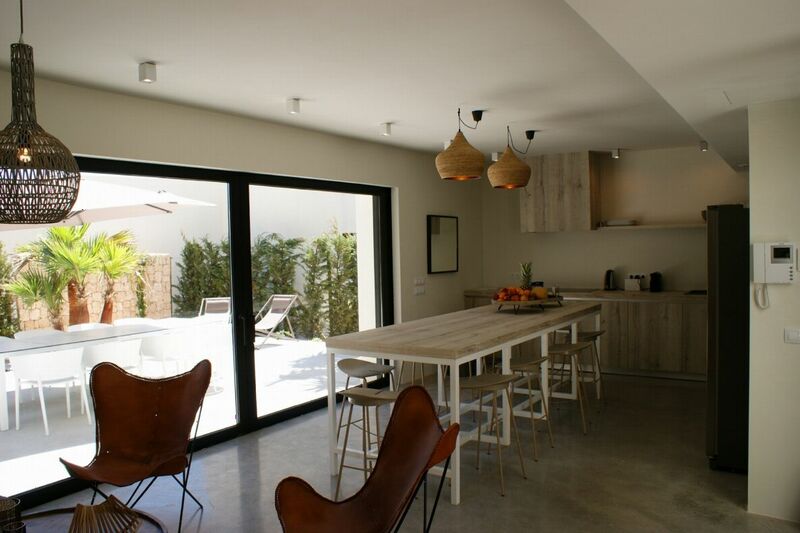 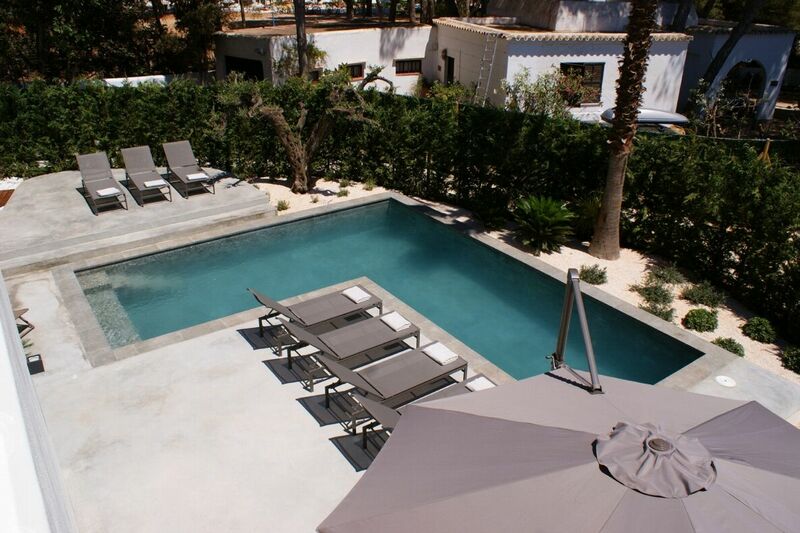 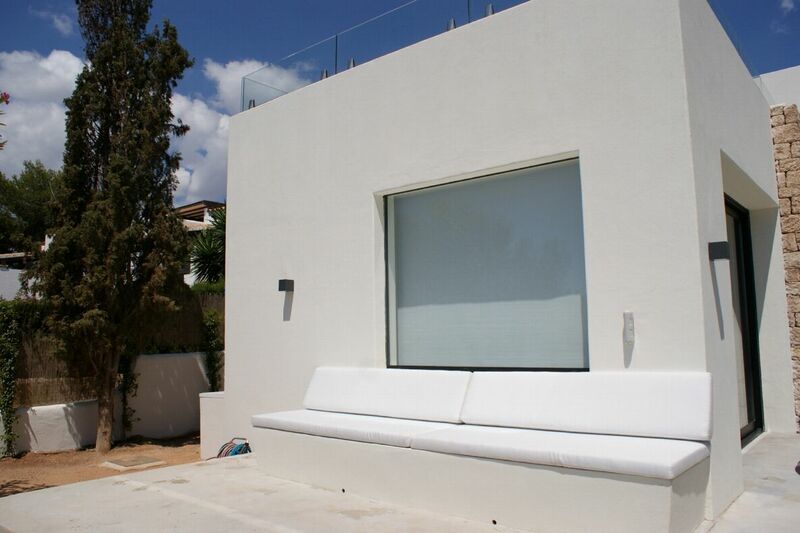 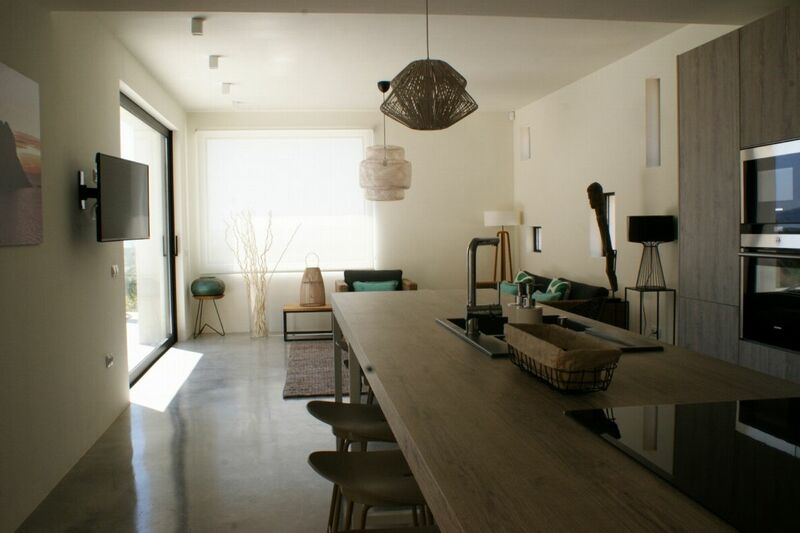 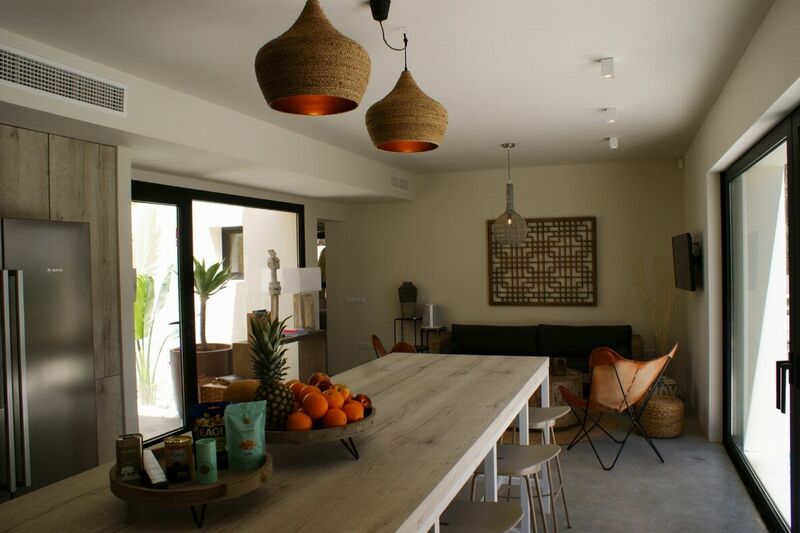 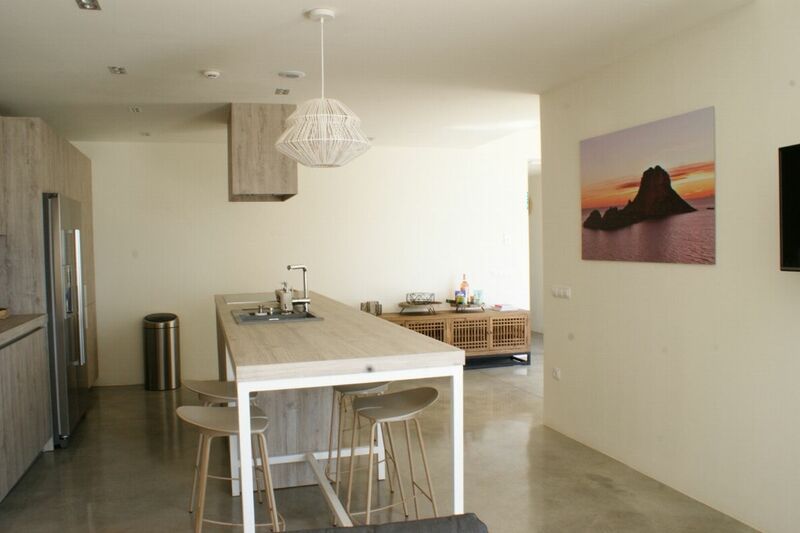 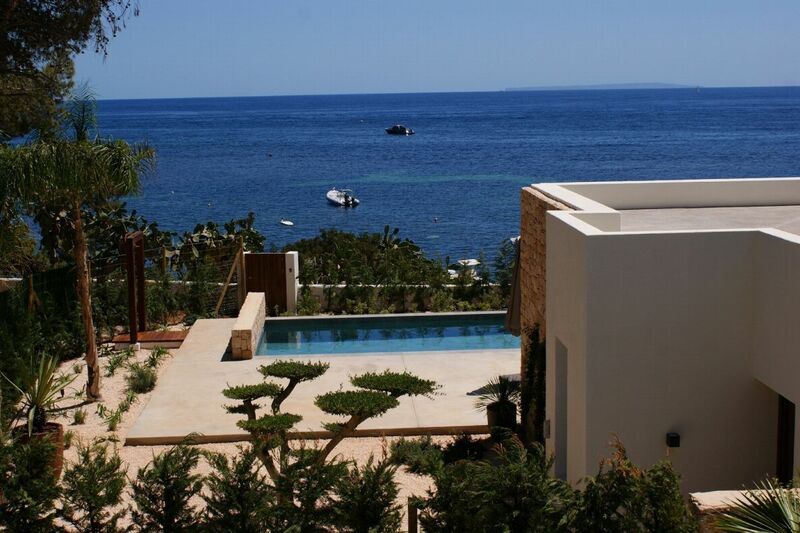 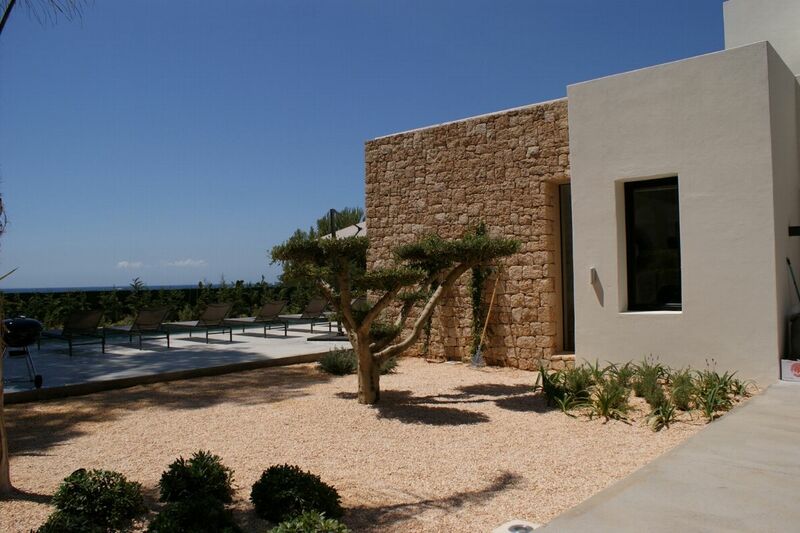 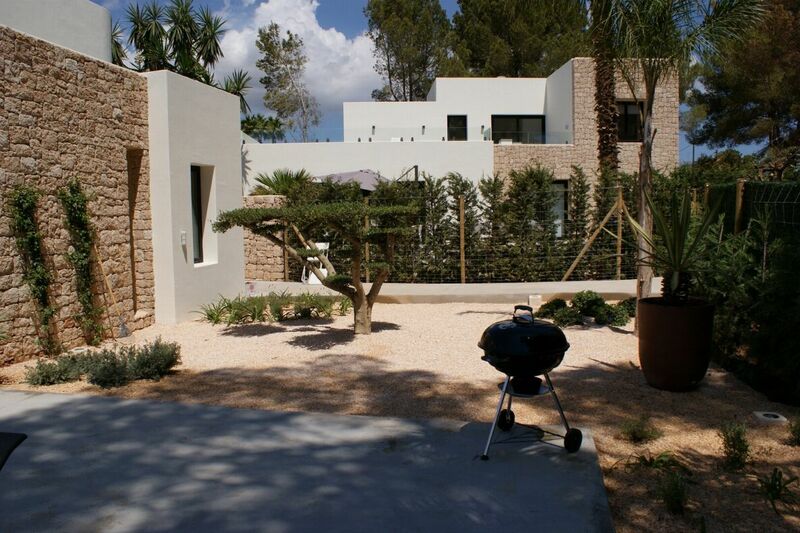 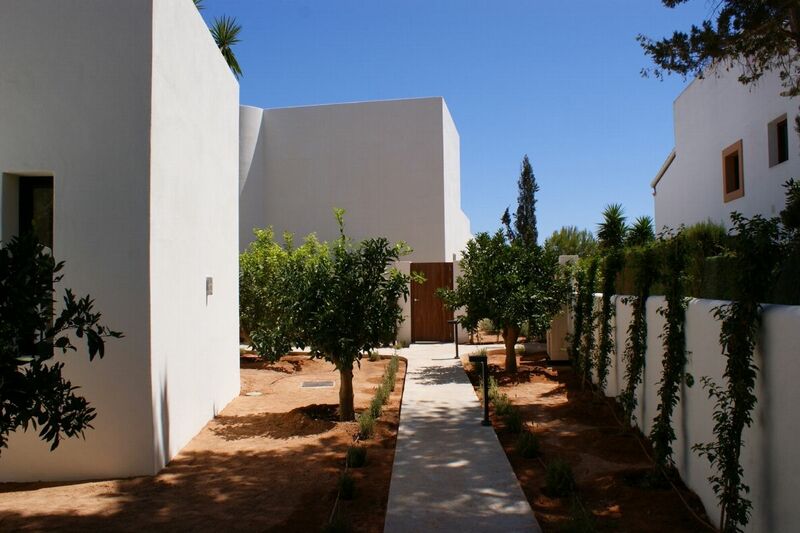 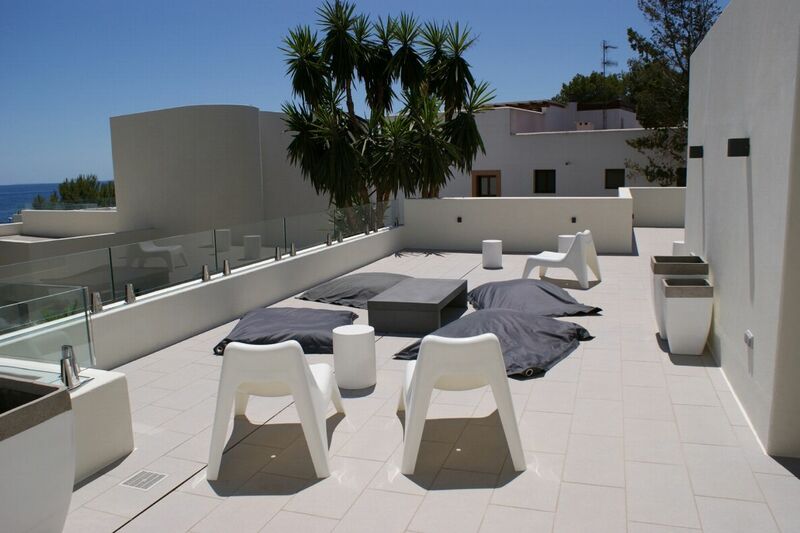 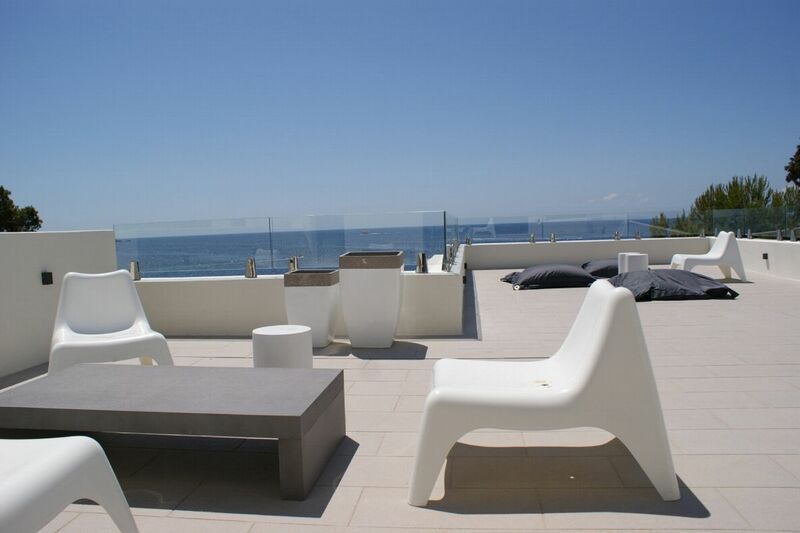 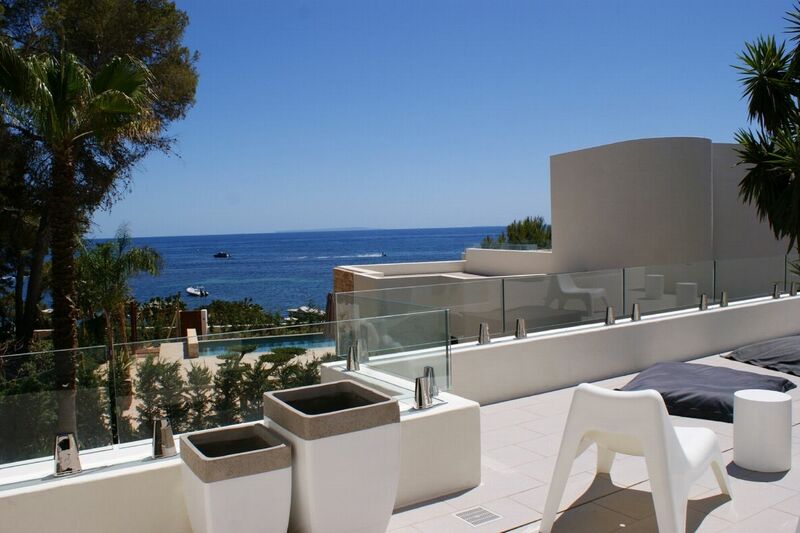 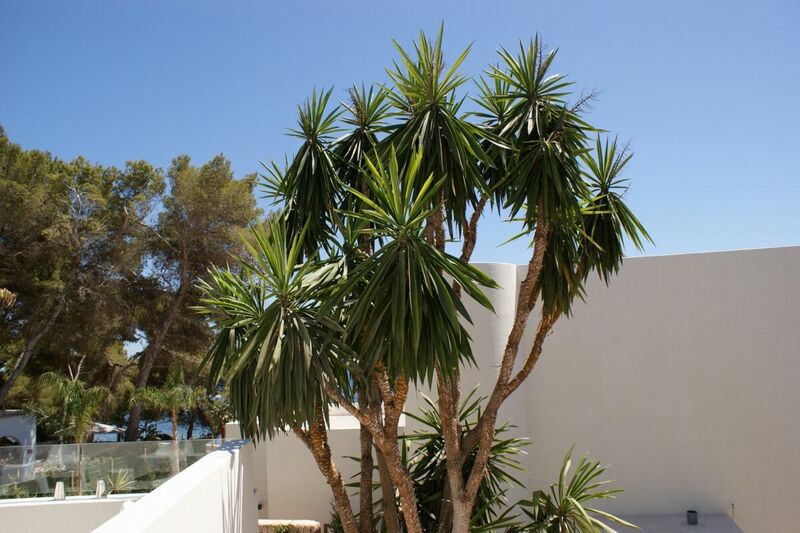 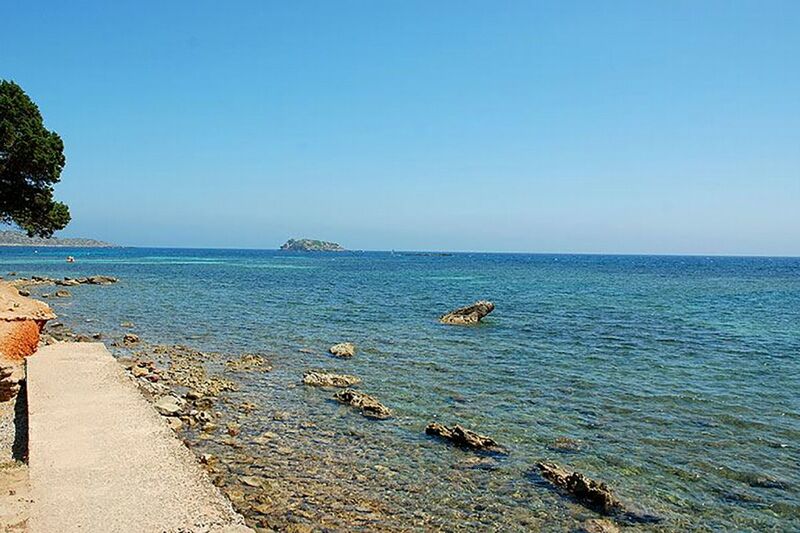 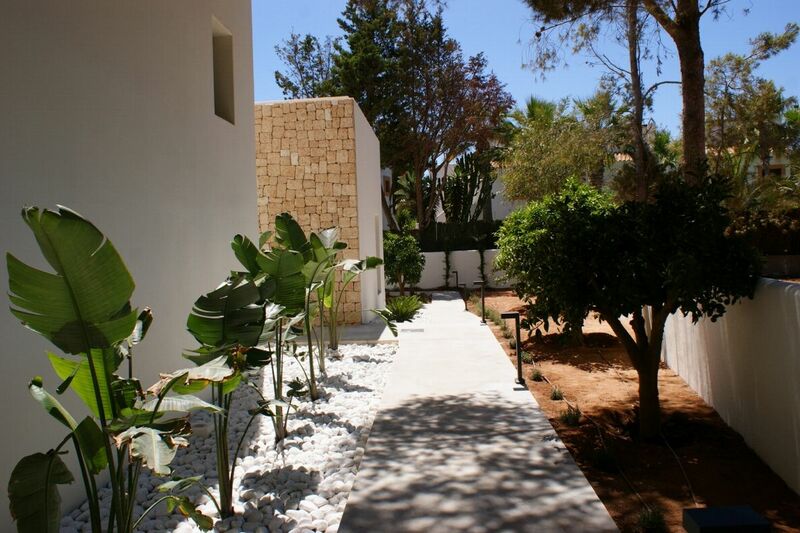 Two frontline properties in one, with sea access located close to Santa Eulalia. 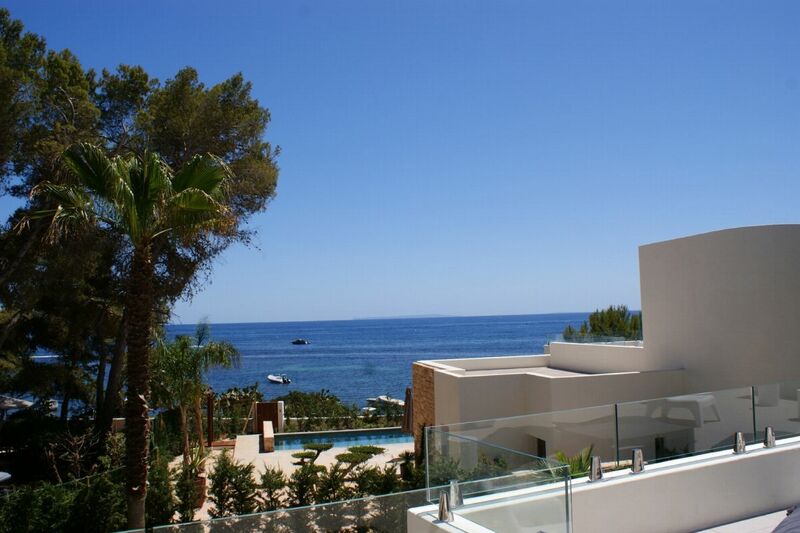 These 2 luxurious and charming villas combined have 9 bedrooms with outstanding sea views, wonderful terraces and they are perfectly located only a few metres from the beach. 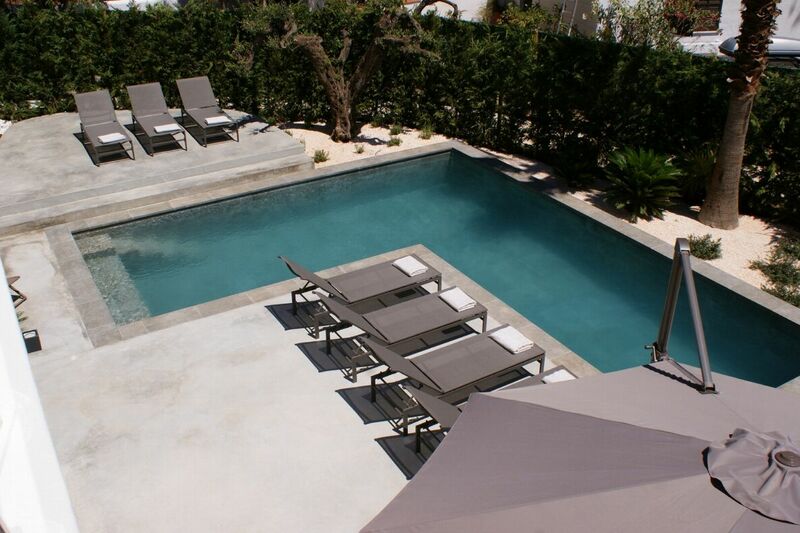 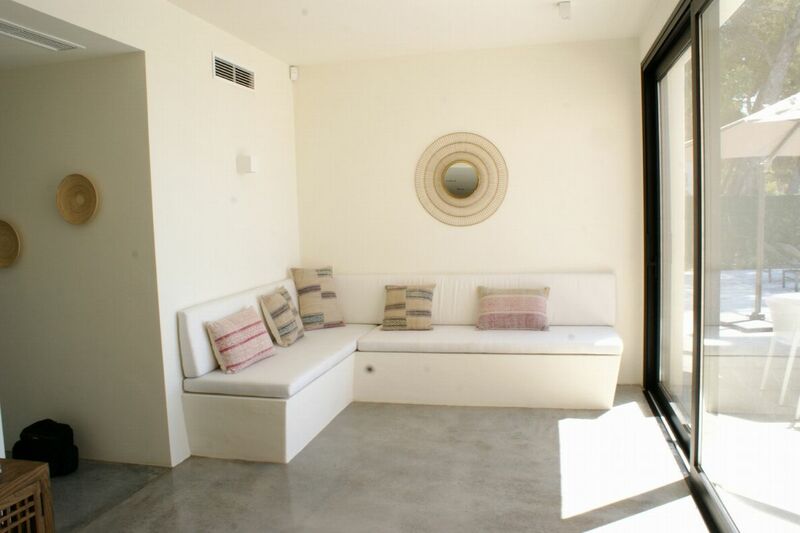 The famous NIKKI BEACH is only 500 metres away and they are close to many nice restaurants, bars and other amenities. 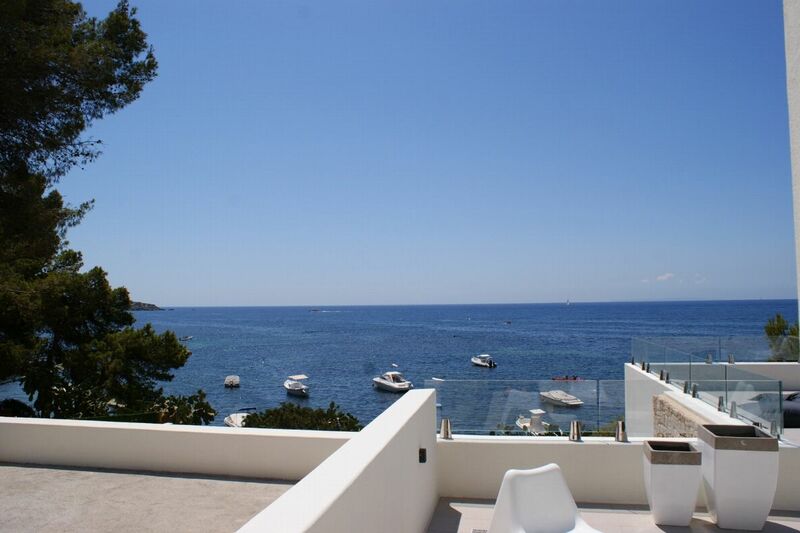 There is also the possibility to rent a boat in front of the houses. 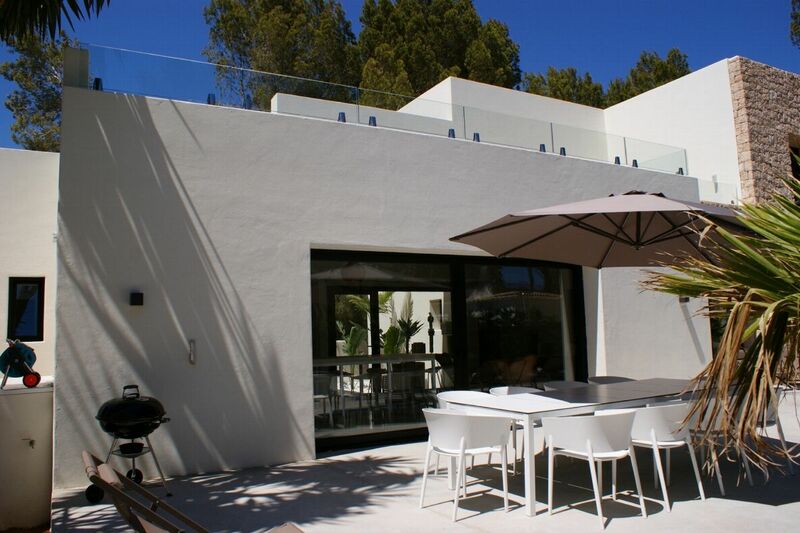 OUTDOOR AREAS Both properties have fabulous swimming pools (Casa Oceano 4m x 10m and Casa Tranquila (L-shape) 45 m2), with spacious sunbathing areas equipped with several sun loungers surrounding the pools and outdoor dining areas with BBQs. 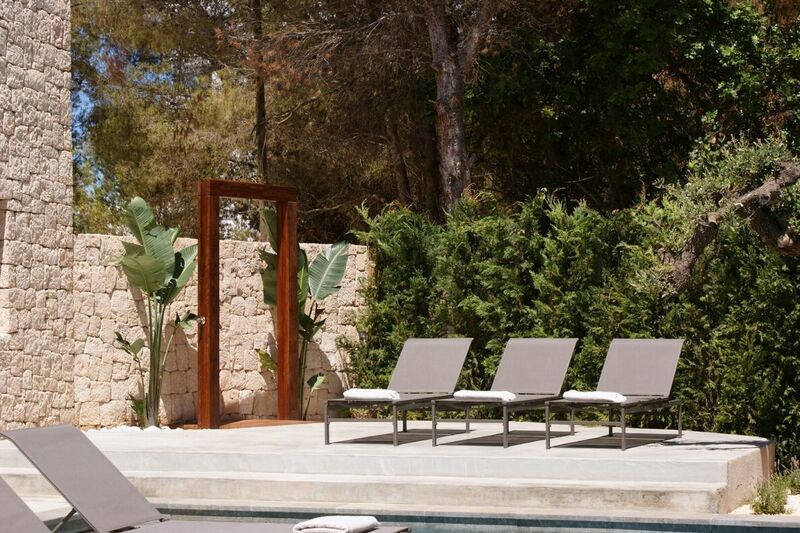 The properties are both fully alarmed and totally fenced off with private gates. 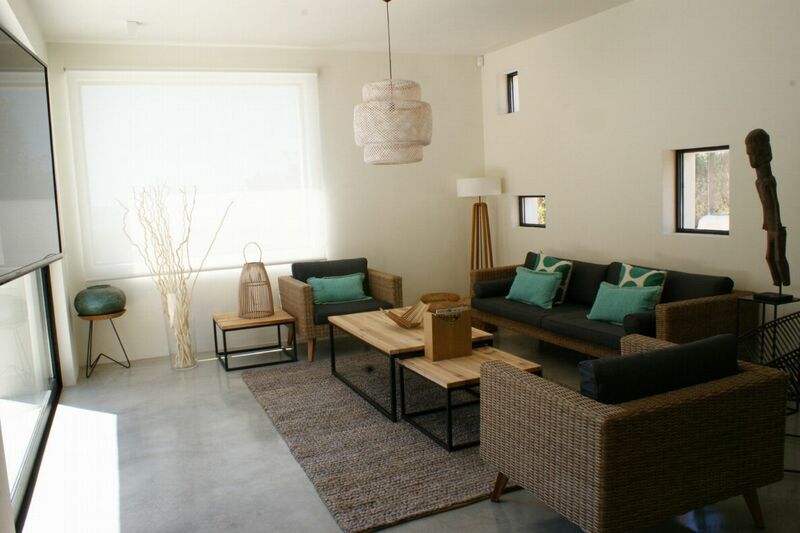 LIVING AREAS All areas of the houses are fully air conditioned and have access to WiFi. 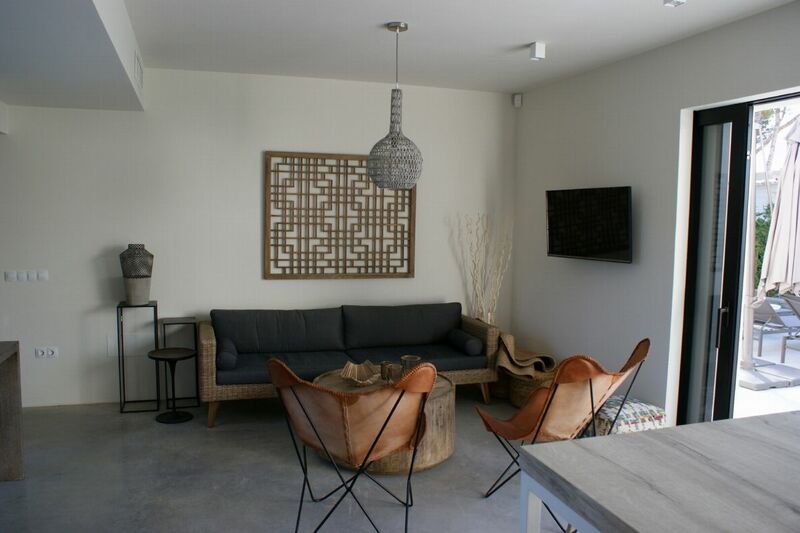 The open-plan lounge areas boast comfortable seating and TVs with satellite. 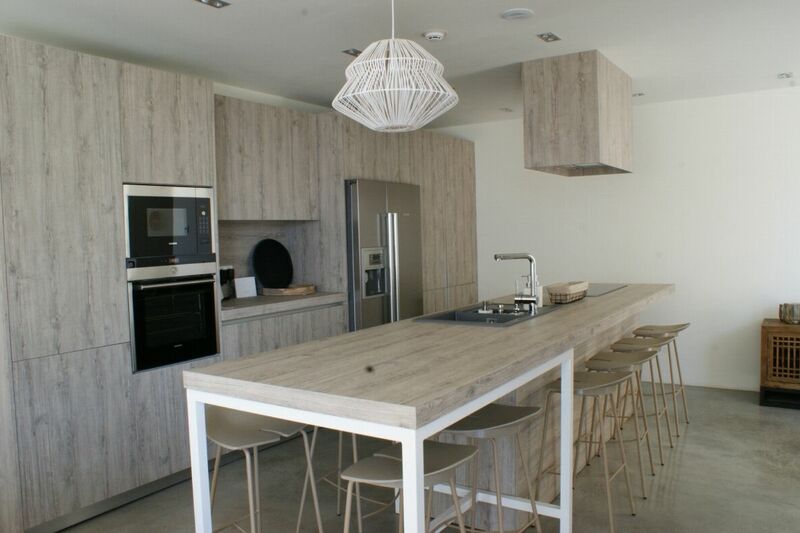 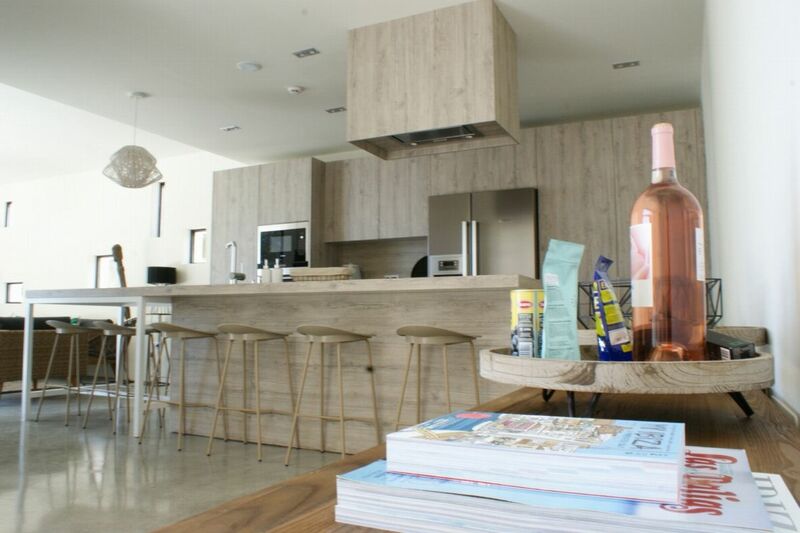 The modern kitchens are fully equipped with all modern appliances including dishwasher, oven, microwave, freezer and coffee machine etc. 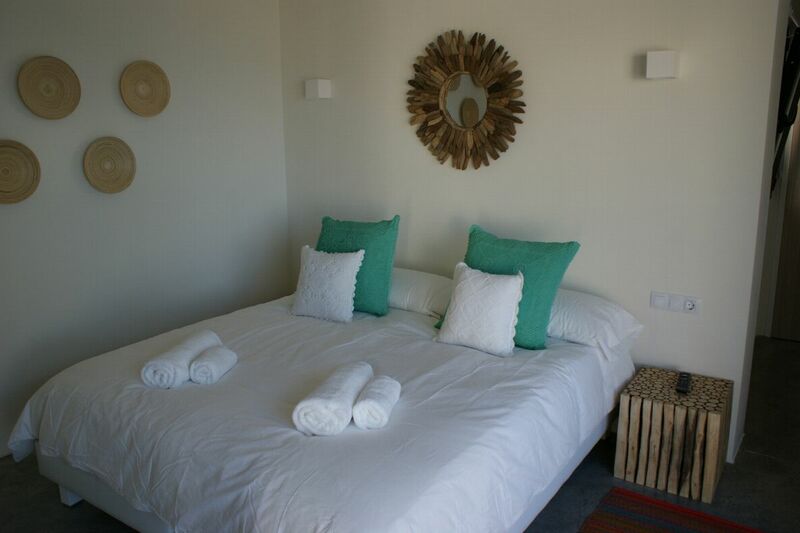 Casa Oceano - Double bedroom, en-suite bathroom with shower and bath, ample wardrobe space, air conditioning and TV. 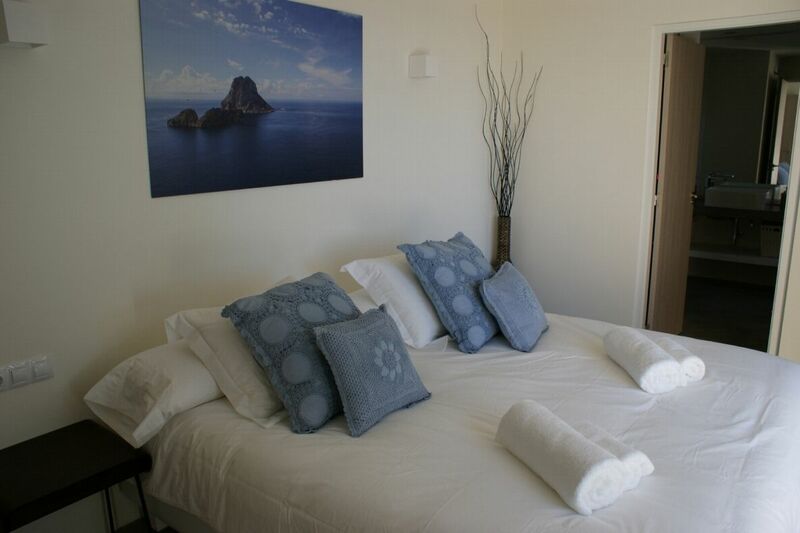 Casa Oceano - Double bedroom, en-suite bathroom with shower, ample wardrobe space, air conditioning and TV. 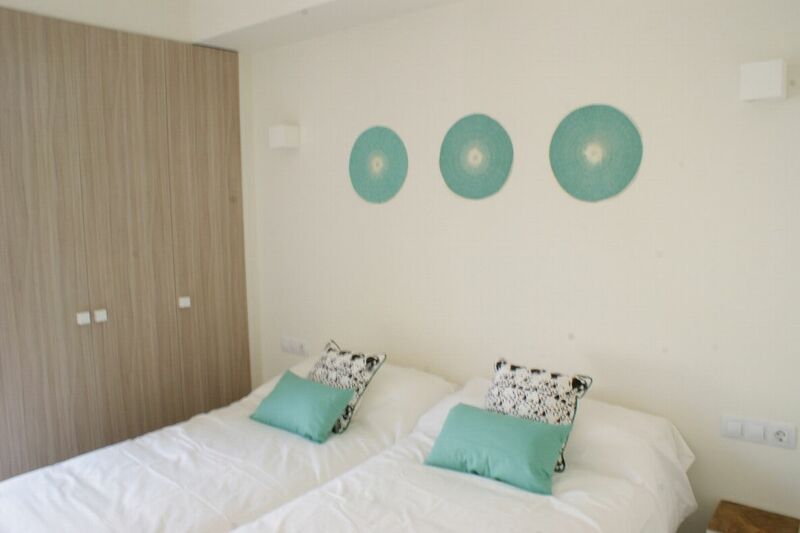 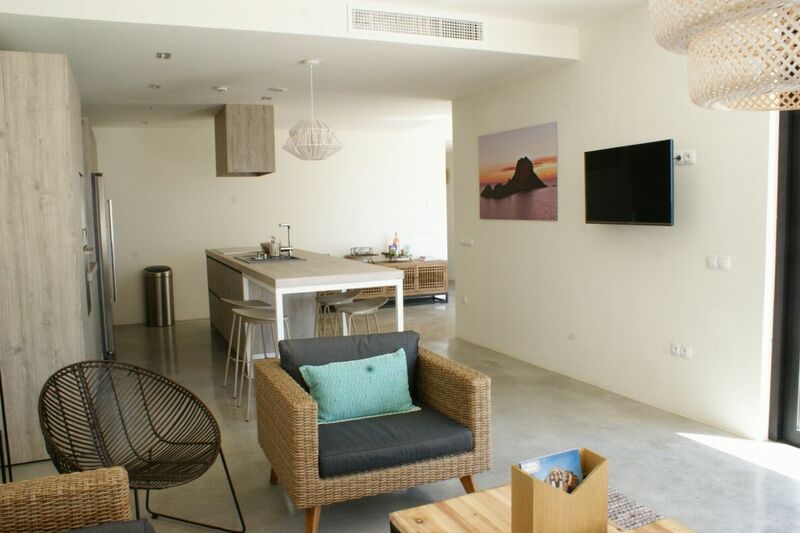 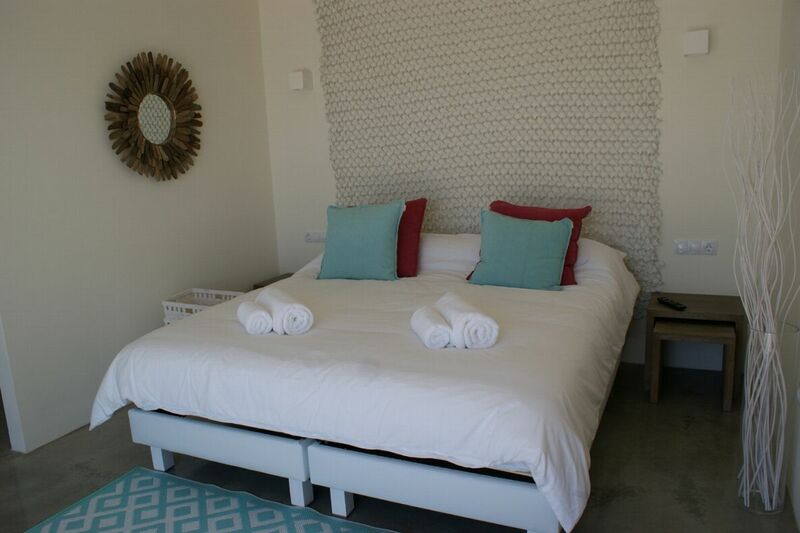 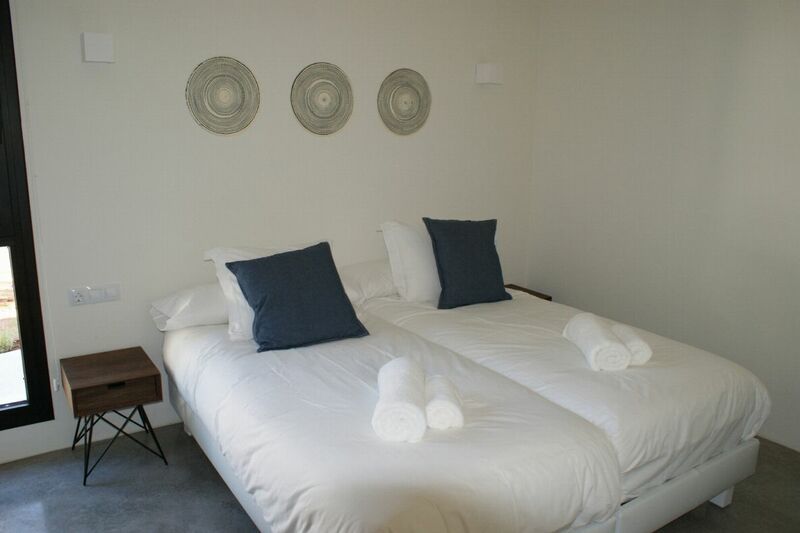 Casa Oceano - Twin bedroom, en-suite bathroom with shower, ample wardrobe space, air conditioning and TV. 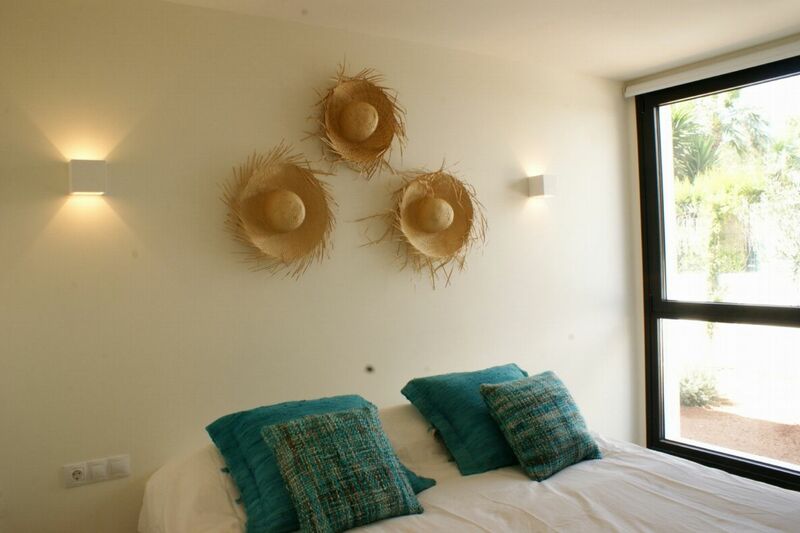 Casa Oceano - Double bedroom, en-suite bathroom with shower, ample wardrobe space and air conditioning. 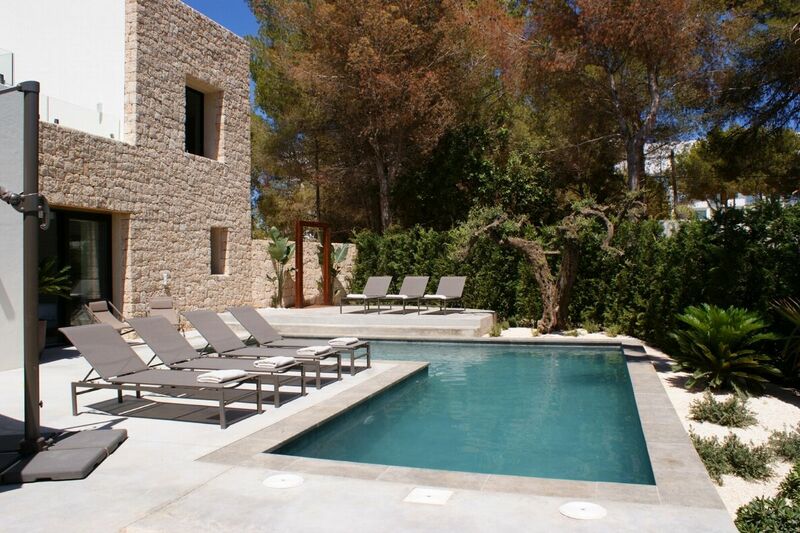 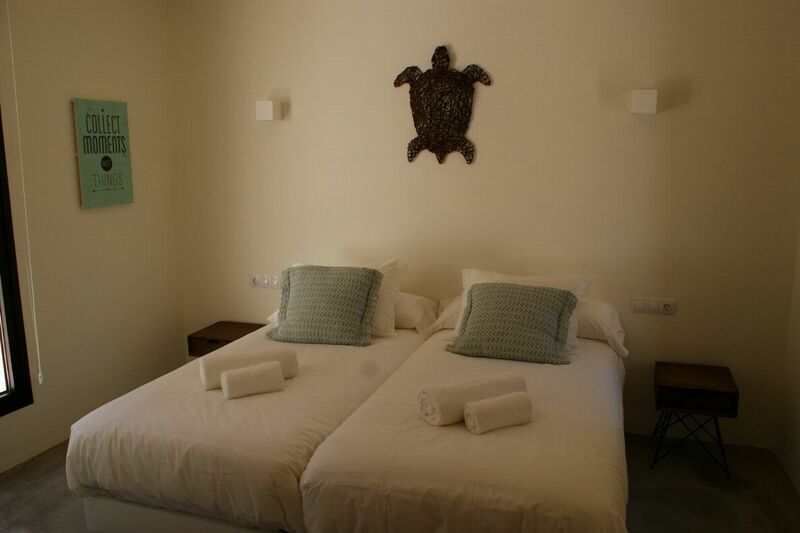 Casa Tranquila - Double bedroom, en-suite bathroom with shower and bath, ample wardrobe space and air conditioning. 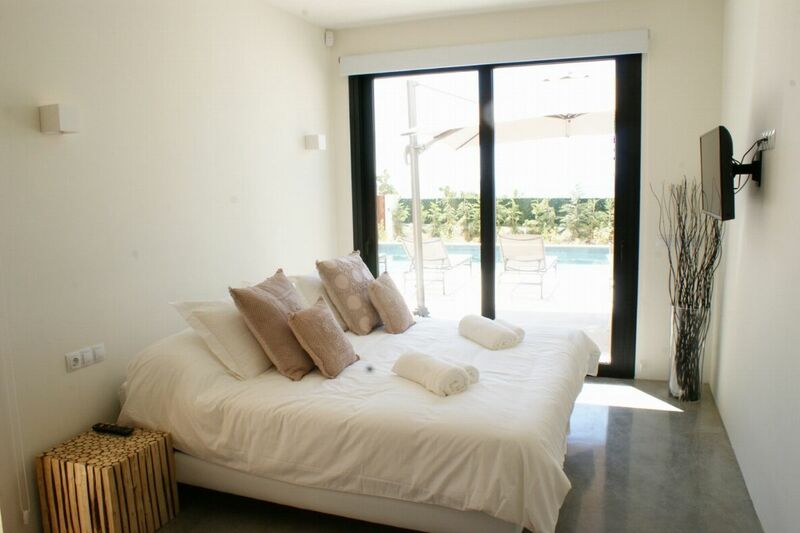 Casa Tranquila - Double bedroom, en-suite bathroom with shower, ample wardrobe space and air conditioning. 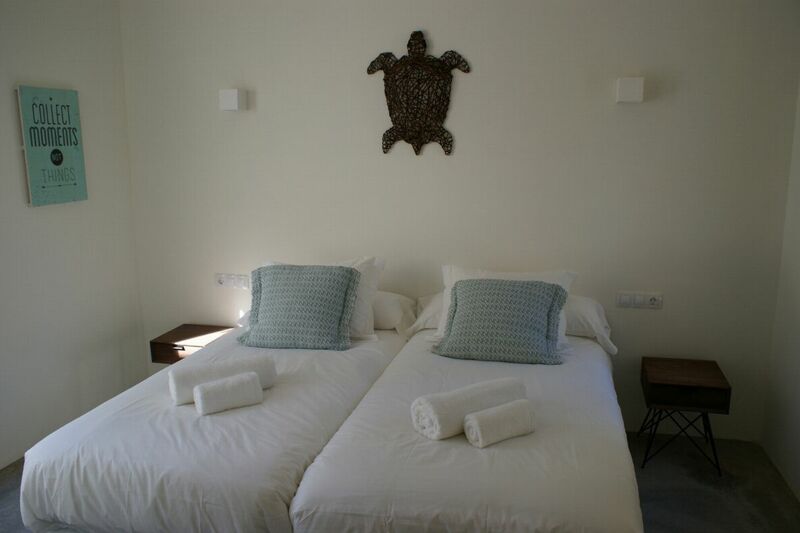 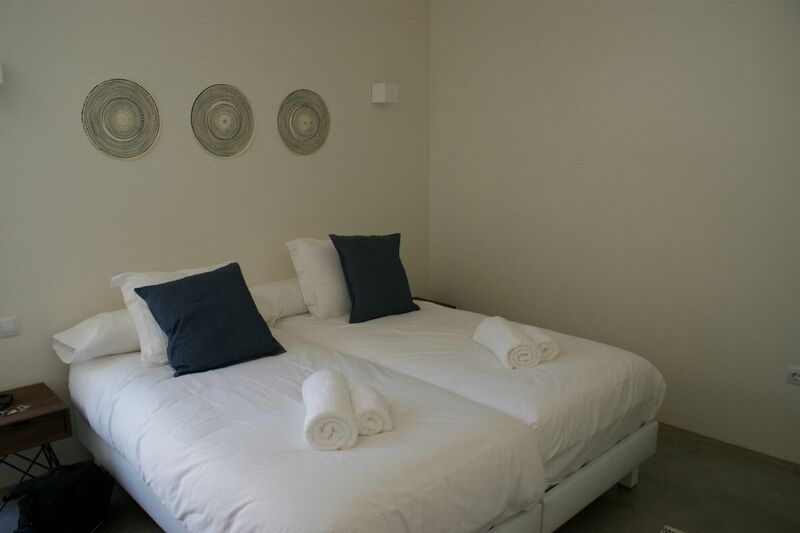 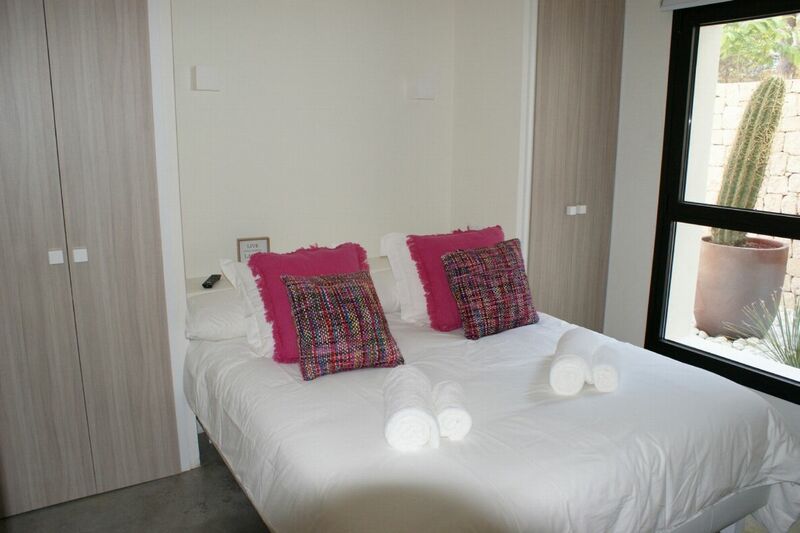 Casa Tranquila - Twin bedroom, en-suite bathroom with shower, ample wardrobe space and air conditioning.